From time to time we are reminded of how badly advertising campaigns can go. Their planning and creation often involve diverse groups of people and yet, mistakes that later seem obvious go unnoticed and the campaigns receive the go-ahead from decision makers. Sometimes the only thought coming to mind is incredulity, but in other occasions it may be difficult to assess in advance what the public’s reactions will be. People are complex and often assumptions are made to simplify analyses or decision-making scenarios. It can be especially difficult to make predictions when brands try to change their image, as Pepsi recently did. What can media analysis tell us about the effects of the ad? 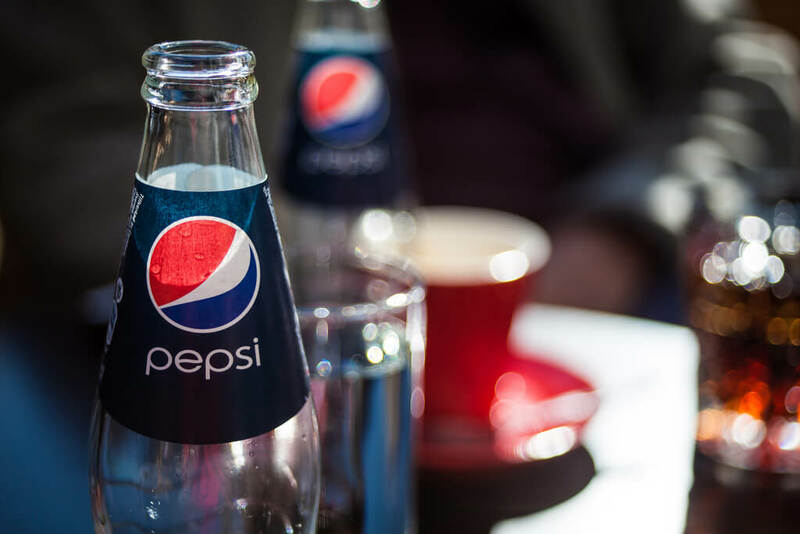 We have analysed the evolution of content with the word ‘Pepsi’, in a broad media landscape. The analysis covers editorial and social media over a period centred in the strong reactions arising from the advert airing (Figure 1). There is a very significant increase in publicity during the days immediately after the ad launch, and even after the initial peak died off, the number of Pepsi mentions remained higher than the pre-advert baseline. Looking at the sentiment associated with this content (Figure 2), we can see that the large majority of publicity was negative, although we cannot neglect the increase of positive mentions happening at the same time. An interesting exercise is to separate editorial and social media. This allows us to explore the different reactions of news organisations and individuals. As the saying goes, yesterday’s news is old news. In editorial media, there was both a sharp increase and decrease in mentions of Pepsi, with not very significant residual effects (Figure 3). When it comes to sentiment, it was leaning clearly to the negative side (Figure 4). When we break the monitoring period down into three smaller periods (27th March – 4th April, 5th April – 7th April, 8th April – 16th April), it is also possible to see which words were more often associated with Pepsi during the different phases of publicity. For the first period, these were ‘respect’, ‘sales’, ‘model’ and ‘boost’. During the increase in content between the 5th and 7th April, one word stood out: ‘matter’. It was used in reference to the similarities between the advert and images from the Black Lives Matter movement (Fig. 5). Other words show that also in general the focus of publicity was on the recent ad campaign. 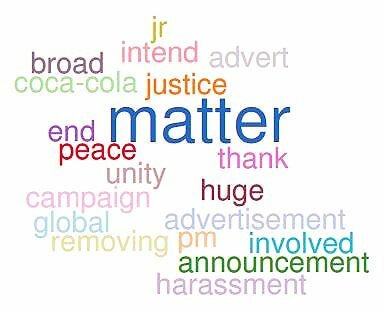 During the third period (8th – 16th April), the most used words were ‘CEO’, ‘management’ and ‘price’, reflecting the executive decision of pulling the ad, formal apologies and possible repercussions of this failed campaign. Social media reactions followed a similar pattern, but with longer lasting repercussions, as shown by the higher volume of publicity at which the mentions of Pepsi levelled-off (Figure 6). Sentiment associated with the reactions on social media also showed a different pattern. There were more balanced negative and positive reactions (Figure 7), especially during the peak activity, although negative reactions lingered on for longer. The words associated with Pepsi during the first period (27th March – 4th April) in social media were ‘video’ and ‘brand’, whereas during the most active days they were ‘commercial’, ‘Jen’, ‘Kendall’ and, surprisingly, ‘Trump’. The longer-lasting associations that remained when activity was slowing down were ‘black’, ‘cop’ and ‘Jen’. We live in a complex world where it is not always possible to predict the reactions of certain decisions. It is important to understand which context we are operating and what are the best approaches. In current times, when consumers are less loyal to brands, it is extremely important to constantly address their concerns and meet (and hopefully exceed) their expectations. There is a need to continuously monitor consumer and media reactions, and to be able to respond quickly to arising situations. How we look at data can change our perceptions of reality. In this example, the message conveyed from an editorial media analysis was different from that of social media. Once an astronomer and always an explorer. 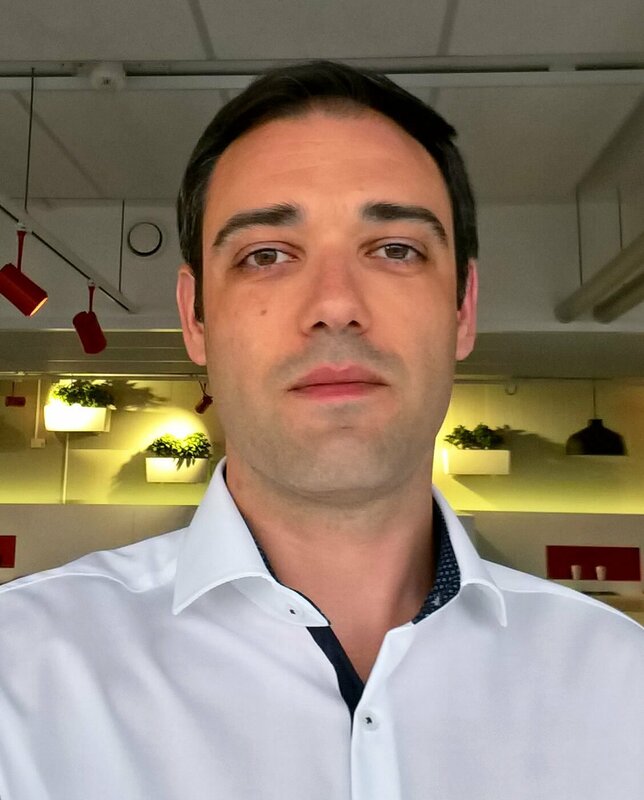 Hugo is a business analyst combining research and analytical thought to achieve better results. He participated the M-Brain Business Analyst Trainee Program that was held in cooperation with Metropolia University of Applied Sciences. What are the differences between monitoring traditional and social media?